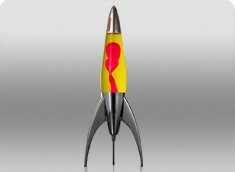 The Telstar design is inspired by the space race fever that gripped the 1960s. 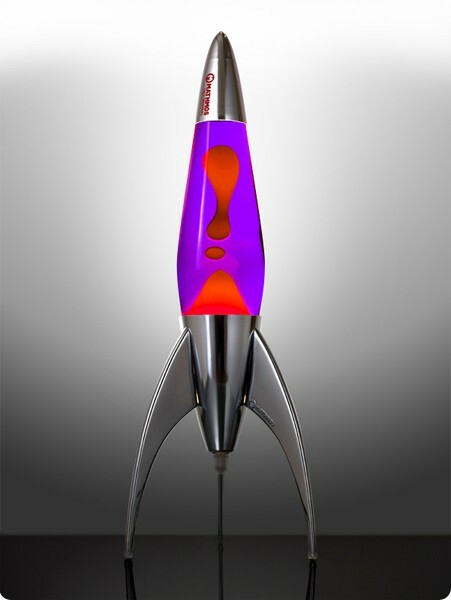 The design is in fact a 1990s one and was instantly popular from the day of its launch. 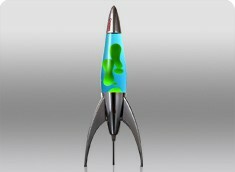 Edward Craven Walker the inventor of the lava lamp, was still a consultant at Mathmos at that time and contributed to the design. Telstar legs are made with cast and polished zinc and each one is hand polished. 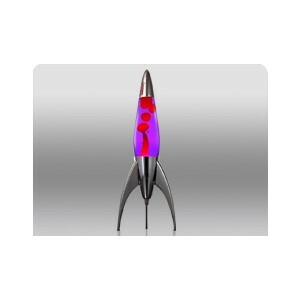 Each product is individually inspected and tested to ensure that a Mathmos telstar lava lamp is the best quality in the world. Spare parts, including bulbs, are available from Mathmos on an ongoing basis. 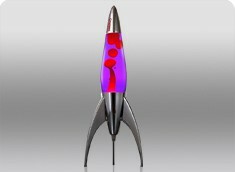 - Height 500 mm - Weight 2kg - Mains powered Polished aluminium base and cap, polished cast zinc legs, glass bottle.